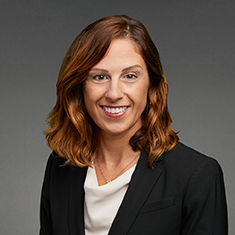 Debra Lefler concentrates her practice on complex commercial litigation, applying her experience in matters involving breach of contract, consumer fraud and trade secret misappropriation. Her strategic counsel empowers her clients' critical business decisions, and her persuasive writing effectively advocates for their interests. Debra has broad litigation experience in federal and state courts at both the trial and appellate levels. She has researched, authored and argued various pleadings and motions; conducted all phases of discovery, including taking and defending fact and expert witness depositions; attended settlement conferences and mediations; and participated in a jury trial and two arbitrations. Her pro bono work has included representing state employees in a successful challenge to a discriminatory state law, advocating for a client facing deportation and representing elderly tenants in a housing dispute. During law school, Debra served as a judicial extern for the Hon. Richard D. Cudahy, US Circuit Court of Appeals for the Seventh Circuit. She also served as executive editor of the Northwestern University Law Review, teaching assistant for a legal writing course and research assistant to Professor Lee Epstein. Prior to joining Katten in 2018, Debra worked in Chicago as an associate at both a boutique law firm and a large international law firm. Shown below is a selection of Debra’s engagements. Representation of a financial services provider charged with consumer fraud. Representation of a marketing services corporation in a federal district court suit against a former employee for breach of employment contract, solicitation and trade secret misappropriation. Representation of an insurance company in a federal jury trial and subsequent appeal in dispute about coverage for a multimillion-dollar claim under a professional liability policy. Representation of an insurer in a billion-dollar lawsuit in Cook County (Illinois) Circuit Court alleging fraud and breach of contract against holders of credit insurance policies. Representation of an insurer in an arbitration dispute with a reinsurer over aggregate stop-loss coverage.